Brava is a soon-to-be-released $US1000 smart oven that cooks with “pure light,” uses less energy than your traditional oven, and can even cook some foods faster than it takes a regular oven to preheat. It’s capable of cooking different foods at different temperatures – all at the same time – by directing different levels of light at each food item. Brava’s app contains a continuously-updated list of recipes. You simply select one, arrange the food as shown, and the oven will do the rest. It’s easy to get in the habit of not cooking at home, either because you’re feeling lazy, or because you’re hungry and don’t want to wait for a meal to cook. To combat this attitude, Brava will soon launching its flagship countertop smart oven, a $US1000-plus appliance that uses light to cook food evenly and quickly. Using what it calls “pure light” technology, Brava claims it can cook food faster than it takes a traditional oven to heat up, and that it uses less energy to do it. 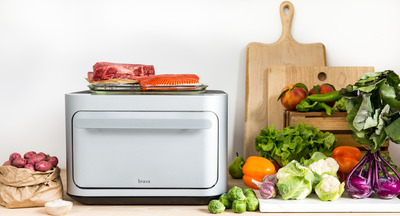 Priced at $US1000, Brava might not seem like a necessary device to people who already have a full kitchen. 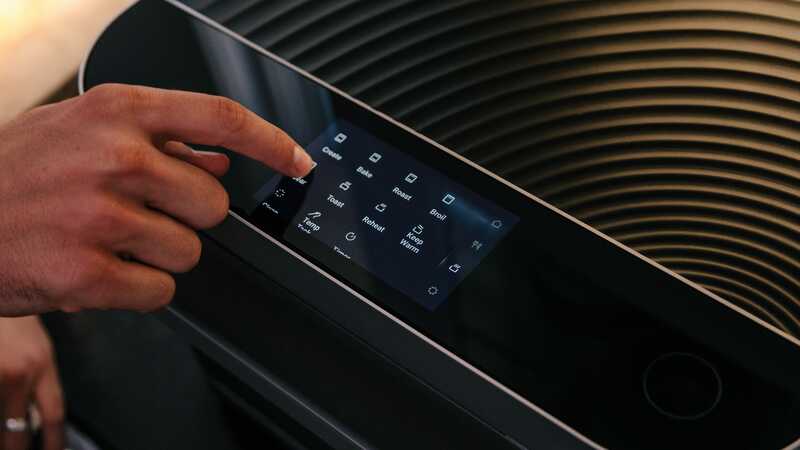 Brava acknowledges this, but believes that word will still get around that owning one of its ovens can make the process of cooking easier, faster, and more efficient. Brava isn’t for every kind of meal. It’s slightly larger than a standard microwave, which means it doesn’t have the capacity of an oven. And some foods will take the same amount of time to cook in Brava as in a traditional oven. But for people cooking only for themselves or a small group, Brava could be effectively used to cook a whole meal in one sitting. Brava will be on sale and shipping in the coming weeks, but pre-orders are available now at $US995. After release, Brava will be priced at $US1,295. Brava aims to be easy to use. The company wants anyone to be able to use the device, not just experienced chefs. From start to finish, the on-screen touch display walks you through the process of preparing and arranging the dish on one of Brava’s included trays. After the food is arranged and placed in the device, Brava will target specific areas of the tray with varying levels of heat to ensure each ingredient is cooked thoroughly and at the correct temperature. With this simple process, Brava hopes to convince people who usually rely on eating out instead of cooking for themselves that cooking at home doesn’t have to be all that complicated. Brava also touts its device as freeing you up to spend more time with friends and family instead of juggling things around in the kitchen during the cooking process. The backbone to Brava is its “pure light” heating method. In what Brava calls “direct energy transfer,” the light bulbs inside the device send heat directly at the food, instead of heating up the air around the food like a convection oven. 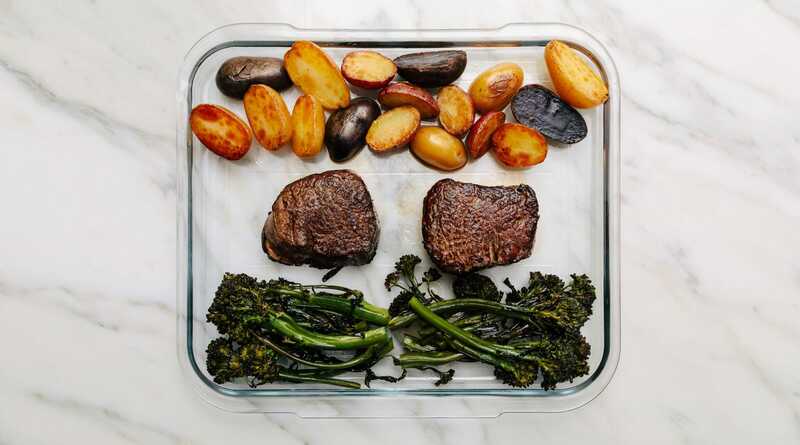 Brava says the device is capable of searing proteins, applying different heat levels to three sections of the tray, baking, toasting, reheating, and keeping food warm. Energy efficiency is a common concern these days, and Brava hopes to alleviate some of those worries as well. It says the device uses less energy to cook an entire meal than a convection oven uses to preheat. Since there’s no preheating process involved either, Brava claims cooking times can be sometimes cut in half, or even more, when compared to oven cooking. An interior camera allows the owner to watch the food being cooked from the touch display, or via Brava’s mobile app. This camera serves a different purpose though – it’s used to teach Brava what properly cooked food looks like, so it can use machine learning to improve. If you’re not sure what to make, or you’re getting into cooking for yourself for the first time, Brava is designed to assist you in the decision-making process. A team of nine professional chefs are employed by Brava with the task of creating and distributing new recipes to Brava devices on a regular basis. There will also be a community aspect as well, and Brava owners can make and share their personal recipes with others. It’s natural to be wary of kitchen tech, as a few notorious examples have locked users in to proprietary meal kits or other similarly annoying features. However, Brava owners are free to use whichever ingredients they want, and they aren’t locked in to the existing recipes on the Brava device. However, Brava will offer a meal service that allows owners to purchase a-la-carte items that are compatible with official recipes.